Gather around One direction fan this one is for you! 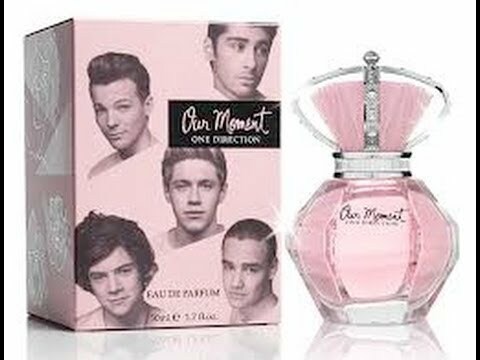 So not only are they coming to SA next year but their perfume is being imported to SA to start the excitement off. The bottle is pretty beautiful itself with the crown cap and the pink and silver. Really appropriate timing for the fans. The development of the band’s first fragrance for their fans has been a year in the making with the guys involved in every step of the process from the creation of the scent to the design of the stunning bottle and its packaging. With their two globe conquering albums, ‘Up All Night’ and ‘Take Me Home’, One Direction – Niall, Louis, Harry, Liam and Zayn – have established themselves as the world’s biggest band. Their debut fragrance Our Moment is both inspired by and dedicated to their fans. The band worked closely with fragrance experts Firmenich to choose their favourite scents, ultimately creating a vibrant and playful fruity floral fragrance reflecting the essence of One Direction. The sparkling, juicy and feminine fragrance is made up of splashes of fresh fruit and seasonal flowers infused with undertones of warm musk. The pink grapefruit, wild berries and redcurrants, combined with the delicacy of jasmine petals, and frangipani with the dry woody tones of musk and patchouli leave an enticing and playful scent on the skin. The beautifully ornate glass bottle compliments the refreshing scent of OUR MOMENT and adds a touch of sophistication to any occasion. The bottle’s intricate crown lid is feminine and sleek and houses a stunning mesh ‘pink flower’ that hints to its floral notes. Oh wow â thank you so much. You really are one very special blogger!